Professor of Clinical Psychology at Nihon Fukushi University, Hiroyuki Oae, will deliver a public presentation, providing a general introduction to the subject of mental illness. The aim of Professor Oae’s lecture will be to provide basic education on the subject in an open manner. 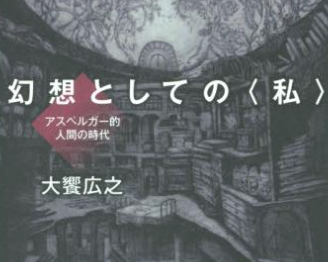 He will further focus on his most recent area of expertise, addressing his newest book titled, 幻想としての＜私＞ : アスペルガー的人間の時代, which roughly translates as, As an illusion : Age of Aspergerian human beings. This book addresses perceptions on mental illness in relation to phenomena of our time. He will also touch on the intersections of mental illness and creativity. Professor Hiroyuki Oae is currently in the faculty of Child Development in the department of Clinical Psychology at Nihon Fukushi University. He holds a B.S. from the medical department at Hiroshima University and a Ph.D. from the medical department at Nagoya University. His field of study is based in neuroscience and psychiatry. His specialties include: Schizophrenia and Borderline phenomenological analysis, Studies on the dissociation of youth, and psychological studies on suicide.